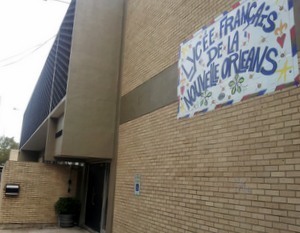 NEW ORLEANS – A former teacher at the Lycee Francais filed suit after she was fired without notice, and did not receive her remaining payments due under the annual salary and term of employment. Darleen Mipro filed suit against the Lycee Francais de la Nouvelle Orleans Inc. in the Orleans Parish Civil District Court. The suit states that in August 2012, the plaintiff entered into a one-year employment contract with the defendant, earning a base salary of $51,500 annually. On Nov. 30, 2012, the plaintiff was allegedly fired from her position without notice and without cause. The plaintiff claims her performance reviews were allegedly excellent, as was her work ethic. Despite the contracted salary and term of employment, the defendant is accused of failing failing to pay the remaining amount due under the annual contract. The plaintiff has received approximately four months worth of payment and asserts she is entitled to the remaining six months, or $30,900. The plaintiff also seeks attorney fees for breach of contract and arbitrary and capricious failure to pay wages due. The plaintiff is represented by Robert G. Harvey Sr. of New Orleans.